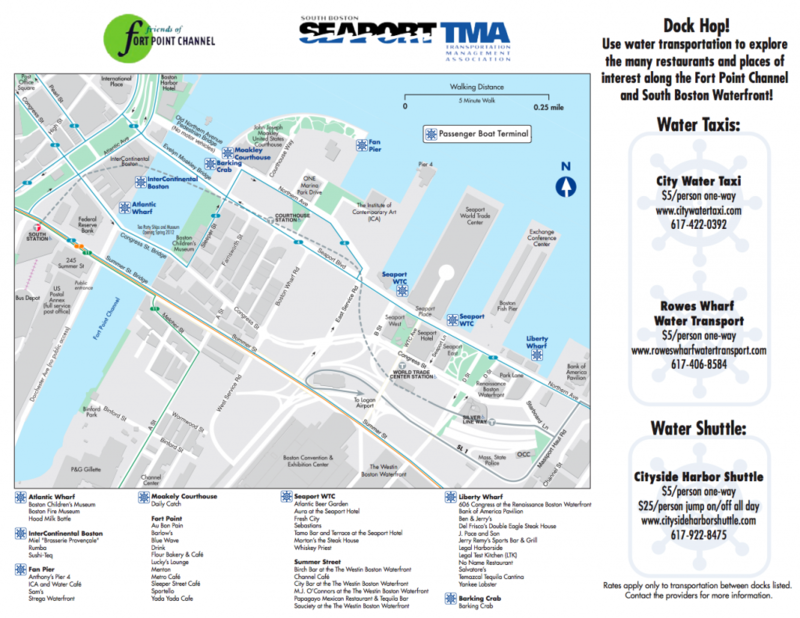 Thank you to www.seaporttma.org and Friends of Fort Point Channel for producing this awesome map and guest post!! Travel to Liberty Wharf in proper style: By Boat! The Friends of Fort Point Channel and the Seaport TMA invite you to dock hop and dine this summer by using water transportation to explore the many restaurants and places of interest along the Fort Point Channel and South Boston Waterfront! Check out our map that highlights the many docks in the area and the restaurants located nearby, including those at Liberty Wharf (click to download PDF). The water taxis are offering discounted rates between the respective docks so when you’re ready to dock hop and dine, call one of the water taxi providers listed. « Liberty Wharf Nightlife Movie!